The 22-year-old has been sporting an ISI-marked retrofitted helmet done up like a tiger mask used in the Hulivesha folkdance. 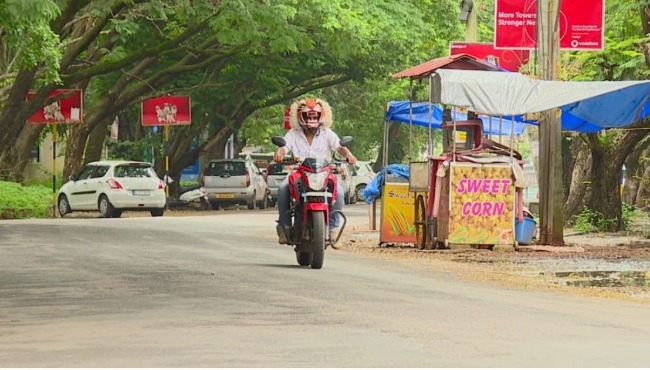 Inspired by the craze for the Hulivesha in the coastal districts of Karnataka, a Mangaluru man has come up with a helmet modelled after the tiger masks used in the folkdance. For about nine months now, this 22-year-old has been sporting an ISI-marked retrofitted helmet, which he says will encourage two-wheeler riders to drive safely but in ‘style’. 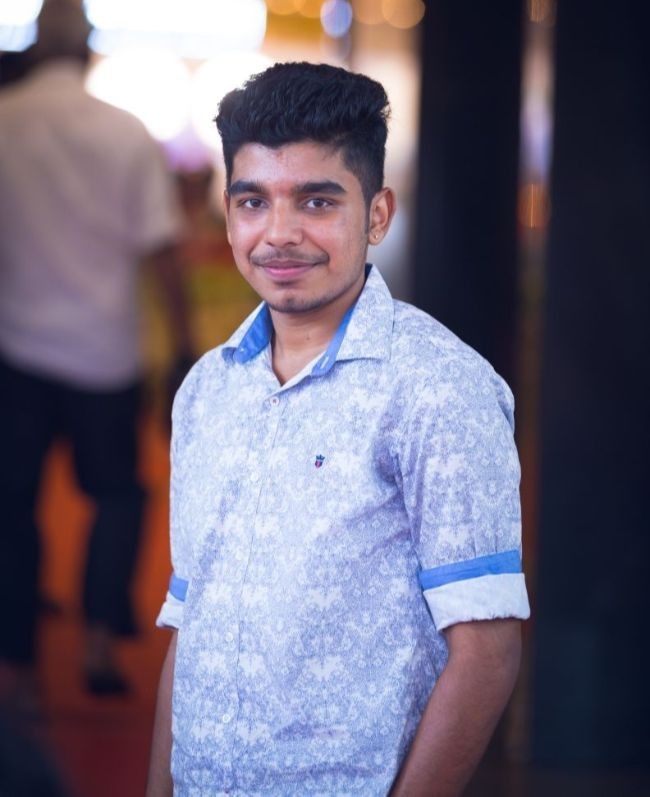 Akanksh Shetty Kuttar, a mechanical engineering graduate awaiting his results, says his interest in Hulivesha stems from his lineage. “My late grandfather Babu Shetty, popularly known as Pili Babbana, was a Hulivesha dancer for nearly 50 years. I was his favourite grandchild and used to adore him. Although I have never danced to the beats, I was always passionate about the art form,” says this trained Bharatanatyam dancer. Hulivesha is a popular dance form in Dakshina Kannada and surrounding areas, where groups of local artistes paint and dress themselves to look like tigers, and perform during festivals like Navaratri, Krishna Janmashtami and Ganesh Chathurthi. Last September, Akanksh approached painter Umesh Bolar with a simple request to decorate his helmet with Hulivesha stickers. But the artiste went way beyond his mandate and gave an additional fitment to the helmet. “Using yellow and black to recreate the elements of a Hulivesha mask, I attached fibre parts to the helmet,” Umesh says. 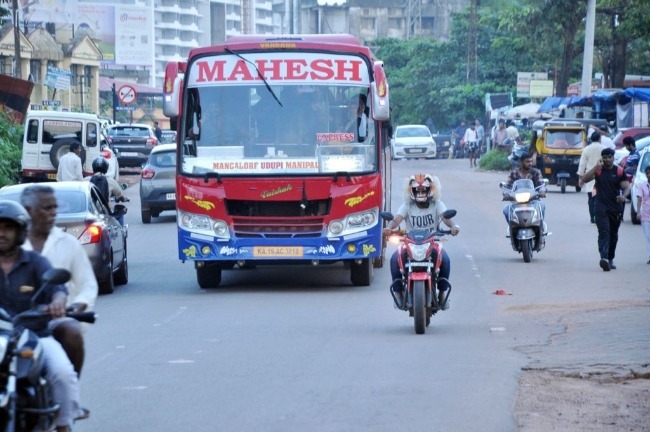 However, Umesh adds that he did not tamper with the safety features or quality and ensured that the rider has the same amount of visibility as any regular helmet. While Akanksh was elated to receive his remodelled helmet, he claims that he was a bit hesitant to use it wondering what co-riders would think or what if police stopped him. “But in a chance encounter, a ACP level officer casually took note of my helmet, personally examined it and remarked that as long as it was ISI-marked, the traffic department won’t have an issue,” he says. Since then there was no looking back for Akanksh, who flaunts his helmet every time he rides his bike. In a city where last year alone 6,657 motorists or pillion riders were booked for not wearing helmets, Akanksh has never been stopped by the police, who only seem glad that he was at least wearing one. “As per law, I’m wearing a helmet as well as promoting an art form that is close to the hearts of the locals. I will be very happy if people are inspired to explore their creative side in the name of fashion while protecting themselves at the same time,” he says. Given an opportunity, he is ready to take part in safety and awareness drives for two-wheeler riders. However, things took a new turn for the rider-painter duo as enquiries began pouring in for Hulivesha modelled customised helmets. While Akanksh says he does not mind exploring a business angle, Umesh has a different take. “I made the helmet for him because I know him, but that can’t become my business. I need my own time to do my regular paintings… I might consider probably after Dussehra,” the painter says. Akanksh says most times his ‘avatar’ catches eyeballs and at times people call him names, including huccha (mad). “But most people stop, take pictures with me and compliment me on my creativity… that is what I will always value,” he says.